The Well-Tempered Clavier (or Das Wohltemperirte Clavier BWV 846–893) of Johann Sebastian Bach is a set of 96 individual pieces in two volumes dating from early 18th Century. They represent one of the highest points in the music canon in both contrapuntal writing and diatonic harmony. 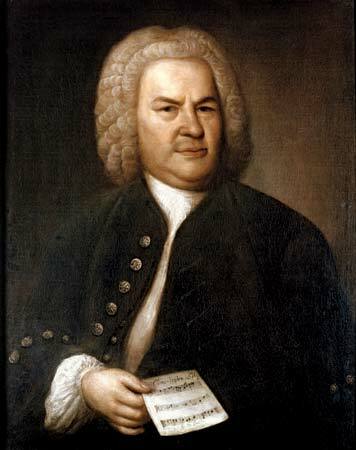 By composing works in every possible major and minor key, Bach is celebrating the ‘tempered’ tuning of keyboards that now allow every key to be played with equal amounts of concordance. note names were maintained, their alteration only permitted by a combination of key and accidental. A major issue is how to deal with modulations in the case of, for instance, when a tonic modulates to a relative major or minor. This can lead to some hairy moments that Baroque purists may find to be a step too far. Evidently, taste is involved and the works continue to be revised. Not all transformations are successful but some new gems have been created in the process. The cine-music-theatre work The Wife of Empedocles is in development. The final work will be in five acts to an original text, loosely based on characters from 6th and 5th centuries BCE from a region we now call Greece. The musical excerpts included here are choral/orchestral versions, together with solos for the characters Anacreon and Pausanius. Divertimento was originally a commission on behalf of the then Sydney-based Seymour Group and was completed in 1982. It has since been revised, maintaining the original orchestration of Flute (dbl Piccolo & Alto Flute), Clarinet, Violin, Violoncello, Percussion and Piano. New work completed for string orchestra (4’00”). Score available via the Australian Music Centre. Posted in Academia.edu, this is a refurbished extract from the PhD thesis concerning musical dramaturgy. It proposes a different view on the origins of the cinematic impulse. Edward gave the Keynote address for the Daytime 2015 conference for music educators on the subject of music technology. The address was titled From Pencil to Cloud: composing for change, and was delivered in Sydney, Melbourne, Perth and Brisbane. The hour long speech covered a broad range of topics including some of the historical roots of music technology and some possible futures, particularly in the education sector. The score for the documentary film The Dancer from The Dance, directed by Karen Pearlman, was nominated for Best Music in a Documentary (APRA/AMCOS – AGSC Awards 2014). The score is fusion of electro-acoustic elements and an ensemble of oboe (Diana Doherty), Bassoon (Matthew Wilkie), and tabla (Bobby Singh) and string quintet (Sydney Chamber Orchestra). Recorded and mixed by Phil Punch. Neikos – orchestral work of 10 minutes duration. Neikos is an ancient Greek word for ‘strife’, which formed part of Empedocles’ theory of the cosmic cycle in nature – Love and Strife.